As part of the Annual Meeting held on May 15, Fagor CEO Jose Maria Balzategui of Mondragon S. Coop., reported significant orders achieved by the company in recent months. 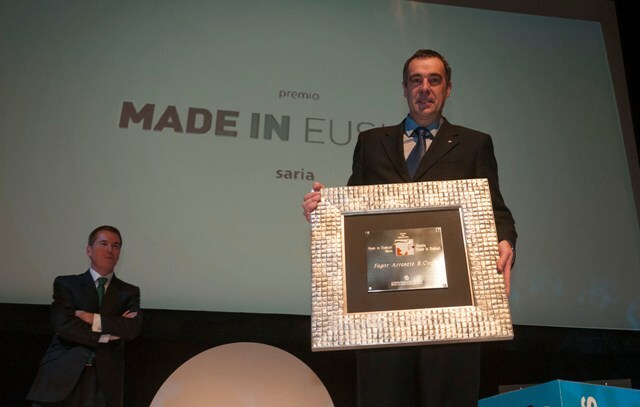 "Like many other companies, the end of 2013 and beginning of 2014 was not as positive as we expected, but today we can say that our company, with major requisitions made in the last 2 months, brought our company up to put us in a position that strengthens us as one of the major European manufacturers of Machine Tool ", José María Balzategui said in his address to the more than 500 attendees at the annual meeting held at the cooperative enterprise in the town of Mondragón. Among the recent orders we have been awarded with the trust and confidence of major industrial groups in their growth strategies and internationalization, as Electrolux and General Motors in the U.S., Mahindra in India, Haier in China and Mexico, first-tier suppliers of Jaguar Land Rover in England and orders in South America and Central Europe for one of the largest steel producers in the world. The projects obtained correspond to the technology and type of machines of top quality, among which are several transfer presses (conventional and FlexCell), servo blanking lines for processing sheet processing lines for both steel and aluminum, Metal processing lines, cutting lines of very thick gauge, and several try-out hydraulic presses and installations for the processing of composites, the latter a positive result of the merger late last year between Fagor Arrasate and Onapres. "There is no doubt that both our traditional customers and new customers can continue to rely on our company and our products and services.” Emphasize Mr. Balzategui. The members present at the Assembly approved both the Report and Accounts for the year ending 2013 as well as the Management Plan for the current year. Certainly the forecasts that were made a few months ago pointed to a drop in activity, the result of a slowdown in investor clients sectors, but these orders have restored and achieved confidence for the coming months. The Fagor Arrasate Group, that embrace both the Fagor Arrasate S. Coop Group, and its Chinese subsidiary Fagor Metalforming Machine Tools Kunshan, finished 2013 with more than 290 million euros in sales and more than 850 employees, the highest figures in the history of the cooperative enterprise, maintaining sustainable growth in the last 3 years of both sales and employment generation despite the difficult economic climate.